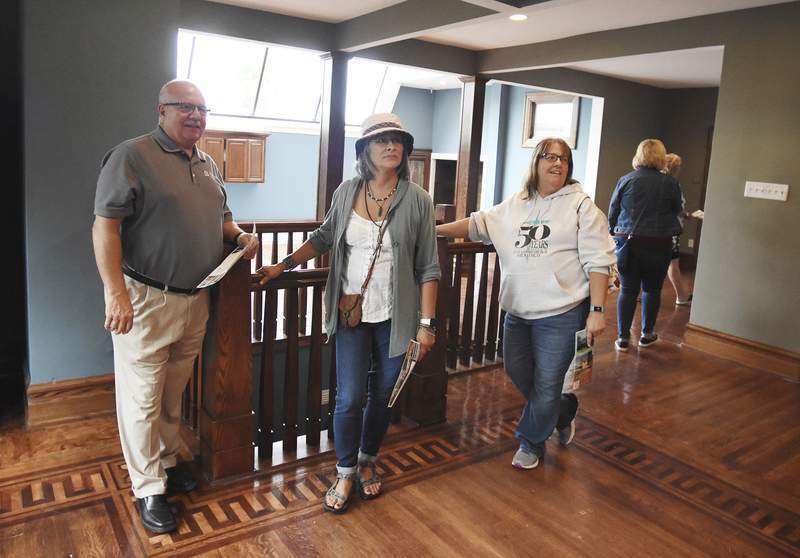 Rachel Von | The Journal Gazette From left: Jim Steffen talks to Teresa Basham and Donette Marden about the second-story kitchen at 1026 Berry St. during the West Central Home and Garden Tour and ArtsFest on Saturday. 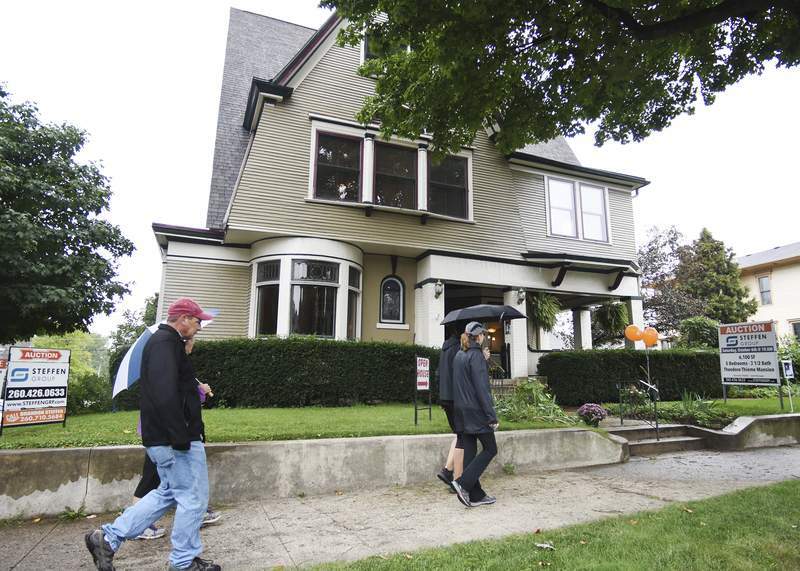 Rachel Von | The Journal Gazette Guests walk in front of 1026 Berry St. during the West Central Home and Garden Tour and ArtsFest on Saturday. 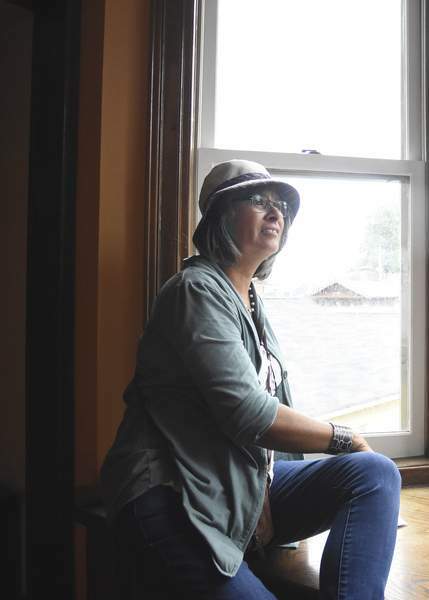 Rachel Von | The Journal Gazette Teresa Basham checks out the view from inside 1026 Berry St. during the West Central Home and Garden Tour and ArtsFest on Saturday. 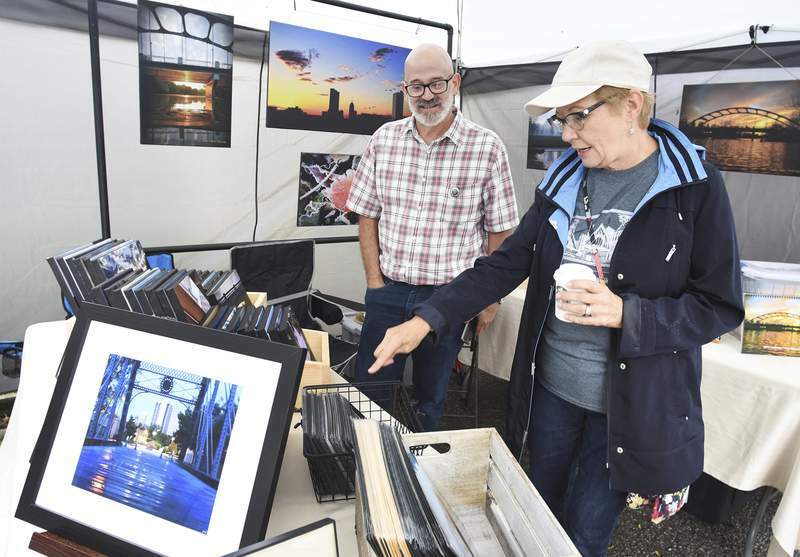 Rachel Von | The Journal Gazette Jonathan Kaufman, left, helps shopper Laura Jackson look through photography he has for sale in his tent during the West Central Home and Garden Tour and ArtsFest on Saturday. 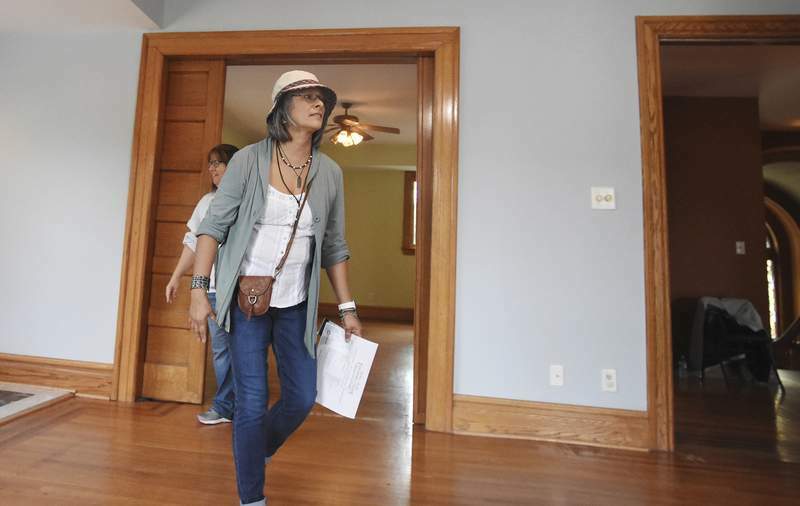 Rachel Von | The Journal Gazette Teresa Basham, right, and Donette Marden look through one of the rooms at 1026 Berry St. during the West Central Home and Garden Tour and ArtsFest on Saturday. 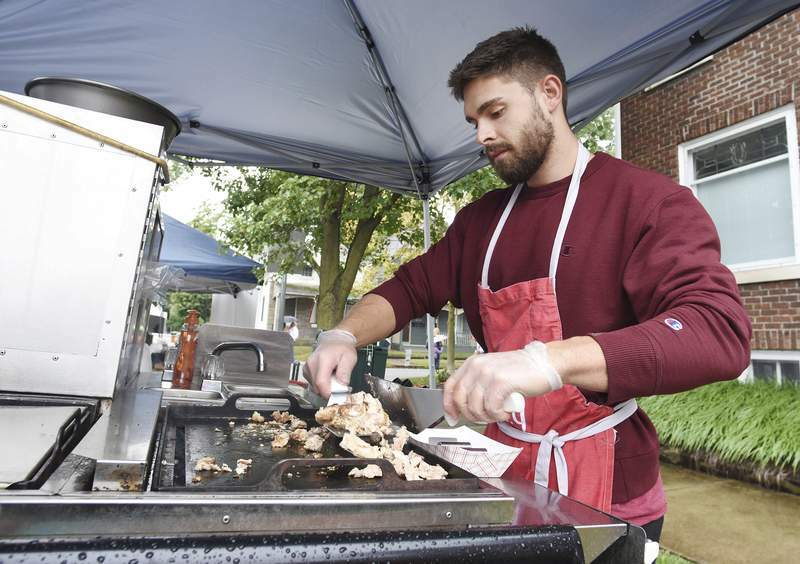 Rachel Von | The Journal Gazette Sam Parker with Wildwoods Grill works on preparing tacos during the West Central Home and Garden Tour and ArtsFest on Saturday.